CAN PIEZOELECTRIC SURGERY BE AN ALTERNATIVE IN REMOVING THE SEPTAL CREST? 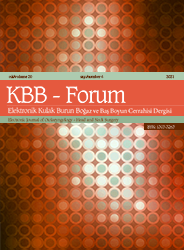 1Medilife Beylikdüzü Hastanesi, Kulak Burun Boğaz Hastalıkları Kliniği, İstanbul, Türkiye Aim: This study aims to investigate the effectiveness of chisel usage or piezoelectric surgery in removing the septal crest. Method and Materials: A total of 47 patients (28 males,19 females; mean age 29,38 years; range, 18-54 years) who were performed septoplasty due to posterior deviation at our clinic between January 2017 and January 2018 were randomly divided into two groups. Both groups were first performed classical operation. Gouge (chisel) was used to remove the septal crest in the first group (classical group, n=20). Septal crest was released. It was then taken out with forceps. Piezoelectric surgery was used to remove the septal crest in the second group (piezo group, n=27). Duration of operation, mucosal lacerations and postoperative complications were recorded. Patients completed the Nasal Obstruction Symptom Evaluation questionnaire preoperatively and at postoperative first month and the visual analog scale for their pain at postoperative sixth hour and first day. Results: There was a statistically significant difference between the preoperative and postoperative Nasal Obstruction Symptom Score scores of both groups (p<0.01). Duration of operation was longer in the piezo group. Postoperative visual analog scale scores for pain were significantly different between two groups (p<0.05). In the classical group, one patient developed perforation and one patient synechia.